Juan Pablo Cappello, CoFounder PAG LAW, named "Lawyer of the Year"
MIAMI - Aug. 16, 2018 - PRLog -- Juan Pablo Cappello was selected by his peers as Best Lawyers/US News' 25th Edition "Lawyer of the Year" for his work in Derivatives and Futures Law in Miami. Only a single lawyer in a specific practice area and location is honored with a "Lawyer of the Year" designation. Recognition by Best Lawyers is based entirely on peer review, with a methodology designed to capture the consensus opinion of leading lawyers about the professional abilities of their colleagues within the same geographical area and legal practice area. Juan Pablo said of the honor "When we started the Private Advising Group, we knew that many clients were not well served on traditional legal platforms. We built PAG to offer clients a very different value proposition. We left "Big Law" to do fewer things better, focus on a small group of select clients and operate more efficiently. 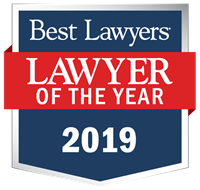 Awards like "Lawyer of the Year" when you are at a 10 lawyer firm demonstrate just how much clients value innovation in the practice of law." Two Leading Latin Lawyers Join PAG. PAG.LAW Named "Law Firm of the Year"